FARGO, N.D. — Despite a 40-save effort from Drew Commesso (Norwell, Mass. ), the U.S. National Under-17 Team dropped a 3-1 decision to the Fargo Force on Saturday night at Scheels Arena. Commesso, who fell just two saves shy of his career-high 42-save night Oct. 6, 2018 against the Madison Capitols, withstood a steady dose of pressure from the Force throughout the game. It marked his third game of 40-plus saves this season. 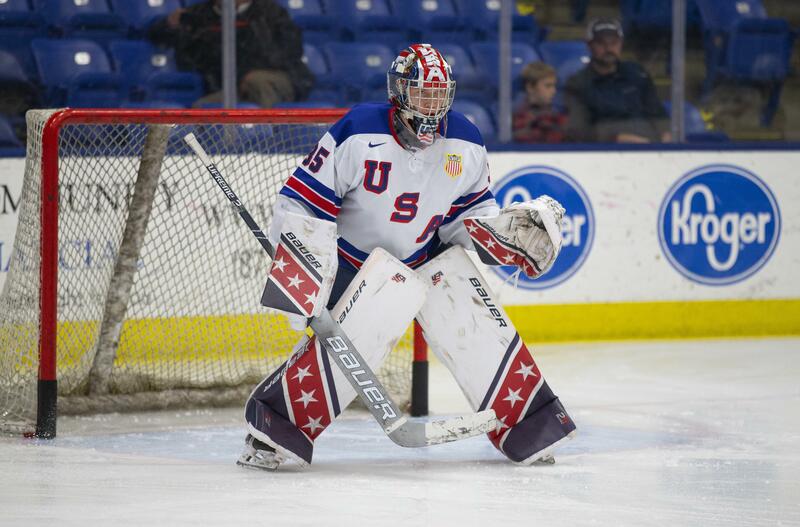 Following a scoreless first period, the future Boston University goaltender turned aside 18 of 20 shots in the second frame to help keep Team USA within striking distance. Fargo scored broke a scoreless tie 1 minute, 19 seconds into the second stanza with a redirect in front and made it 2-0 at the 16:49 mark of the period. The U17s cut the deficit in half when Fargo native Tyler Kleven (Fargo, N.D.) ripped a one-timer into the back of the net just 58 seconds after the Force extended their lead to two. Eamon Powell (Marcellus, N.Y.) and Thomas Bordeleau (Houston, Texas) earned assists on Kleven's third goal of the season and second in USHL play. Team USA could not take advantage of a pair of power-play opportunities in the final frame and Fargo added an empty-net goal in the final minute to seal the win. The U17s will return to the ice Thursday when they face off against the Muskegon Lumberjacks. Puck drop is set for 7 p.m. ET at USA Hockey Arena. NOTES: Team USA went 0-for-4 on the power play and 2-for-3 on the penalty kill ... Fargo outshot the U17s by an 43-25 margin.